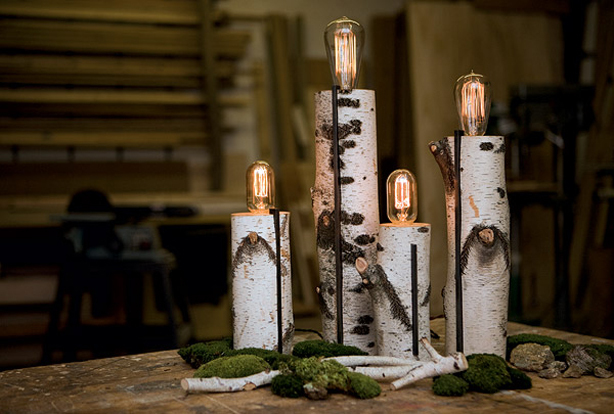 Goer’s series of 25 Birch Touch Lamps are created from NYC birch logs, reclaimed from trees cut down during a landscaping project in Manhattan’s “Hell’s Kitchen” neighborhood. 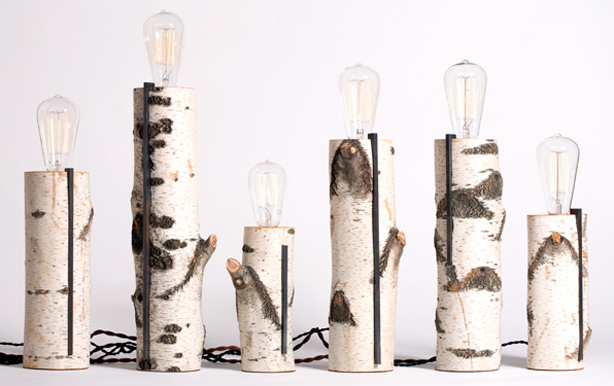 The lamps, transformed from logs into simple, modern lamps, are activated by touching a steel bar which cycles through several brightness settings of a vintage style bulb. 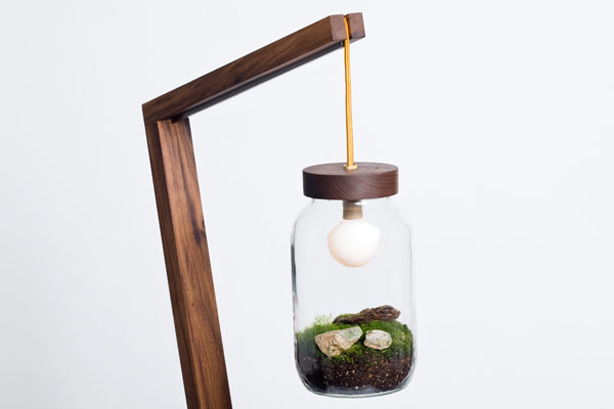 Three terrarium floor lamps, two from American black walnut and one in hard maple, are Autumn Workshop’s first experiment with inserting a living biological habitat into a piece of furniture. 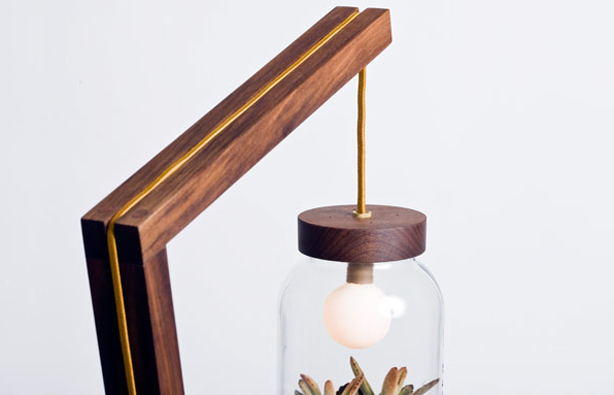 The lamp design allows the terrarium and light source to float freely from the lamp structure. 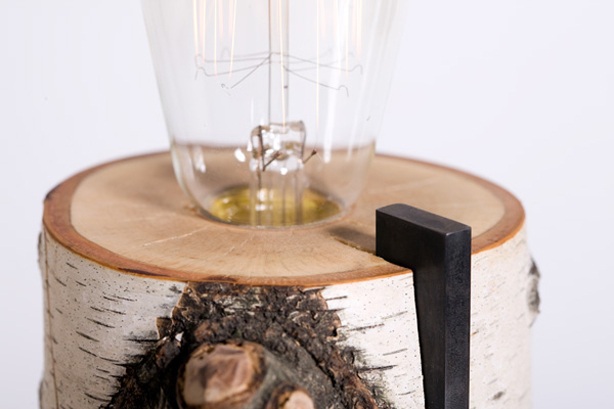 The plant habitat can be viewed with minimal distraction and is illuminated with four different light intensities controlled by a touch dimmer switch, a simple steel bar on the underside of the lamp.